When I started this project I wanted to make it as "African" as possible, I scoured the instagram streets in search of female African runners. 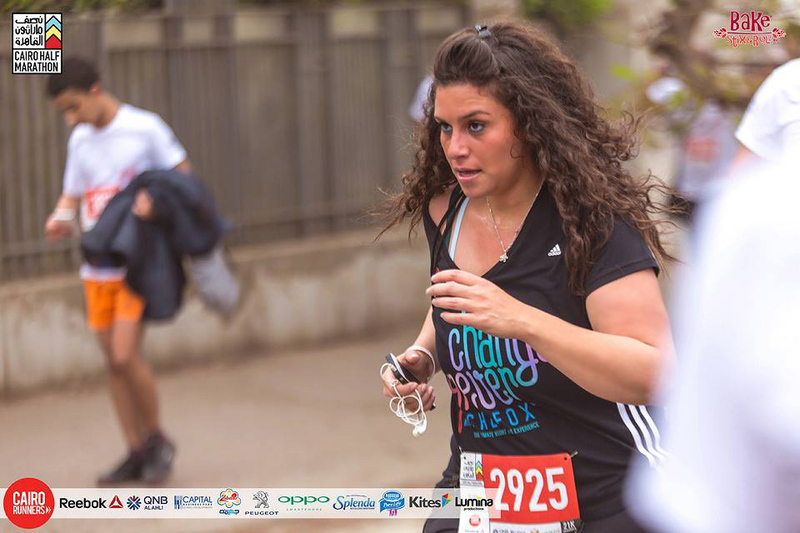 I landed on the hashtag #cairorunners and I saw a lack of female runners it gave me the impression that women in Egypt don't really run, this is something that I would like to change. I emailed the women that I thought were inspirational and this beauty replied to my email. I really loved reading this interview, Nada 1 day when I am in Cairo I want to run with you. 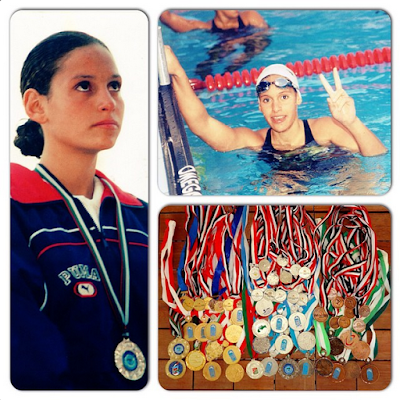 I was a former swimming champion who used to train very hard, and had to stop because of a shoulder injury. Since 2004, I have been trying to lose that weight with all the traditional and none traditional ways. But the problem is that in Egypt it is very hard with our local lifestyle to lose weight and to actually maintain what we lost. So two years ago, I travelled to the UK for a week to join a fitness camp. This trip was very beneficial for me. So one year later, I decided to start that concept with some modifications here in Egypt paving the way for the Egyptians’ 1st residential fitness and weight loss camp in the country “Chefox”, providing a memorable, life-changing experience through our five point philosophy of: fitness, nutrition, education, relaxation, and camaraderie. Our goal is to help people build sustainable wellness habits, learn to identify their body’s cues, discover their personal triggers, and transform their relationship with food, all in a supportive environment. 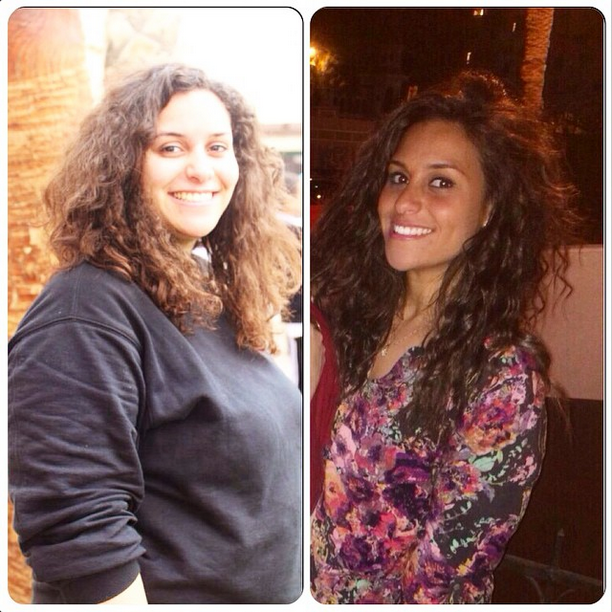 12/12/2014 I decided to prove commitment, practicing Chefox’s way by myself showing everyone with numbers and facts how this holistic approach is capable on helping people who are eager enough to lose weight, stay in-shape and change their lives. The funny part is that 6 months ago walking 3K was hard and 17/05/2015 I got an invitation from Cairo Runners as Chefox’s owner challenging me for a Cairo Half Marathon Run (21K) This was extremely out of my comfort zone. Challenge was accepted and I did it (From Zero to hero). Now I am almost running 7 to 10K everyday, and it became a part of my daily workout. Here in Egypt it wasn’t so common to run in Cairo’s street, but lately December 2012 “Cairo Runners” Community decided to take charge running this town. Cairo Runners is the first street running initiative in Cairo, providing Cairenes with exhilarating mini marathon experience every Friday morning. In Egypt, It sounded impossible at the beginning; having pollution, traffic and not a very equipped running atmosphere. Changing Egyptian’s lifestyle to a healthier one where it would be a normal thing for people to hit the streets of Cairo and exercise which was never a familiar thought before. No athelete is truly tested until they’ve stared an injury and come out on the other side stronger than ever. Happiness is challenging your limits proving every time that you can, no matter how big the challenge is, break some personal records and always raise the bar higher. I am working to make Chefox The best, most enjoyable but hard-working and effective activity weight loss and fitness camp in Egypt and the Middle East. Social Media is about sociology and psychology more than technology, so don’t use it to impress people; use it to impact them. I decided to turn my Instagram account “Nada_Taalab” and my facebook page “Nada Taalab” into the most inspiring channel to motivate people for a healthier lifestyle, from sports fusion and healthy eating sharing with them my story, showing with picture my before and after since i decided to maintain a healthy living tips.